Suspended Spokane police Officer Jay Olsen, acquitted by a jury last month for shooting a man in the head during a drunken off-duty chase through Peaceful Valley two years ago, resigned Monday. The resignation came shortly before Olsen was to meet with Police Chief Anne Kirkpatrick to discuss her decision to fire him from the force for departmental violations stemming from the shooting of Shonto Pete, including conduct unbecoming an officer and making an untruthful statement during a criminal investigation. The department advised Olsen of its intent to terminate him a week ago, and Olsen chose to resign instead of being fired. “This is not a surprise,” Kirkpatrick said. On March 13, a Spokane jury acquitted Olsen of first-degree assault and reckless endangerment, triggering a public outcry over the exclusion of some evidence from jurors. Olsen claimed he’d caught Pete trying to steal his truck, but jurors were never told Pete had been acquitted of auto-theft charges. After the trial, Olsen was placed on paid administrative leave pending the outcome of an internal police investigation. Olsen’s attorney, Rob Cossey, predicted earlier that his client was unlikely to get his job back because he “committed significant violations of department policy,” including getting drunk while carrying a concealed weapon in a bar and failing to call for backup while chasing Pete. Kirkpatrick said Monday the charge of conduct unbecoming was based on “the evening in its totality,” referring to Olsen’s decisions on the night of the shooting. 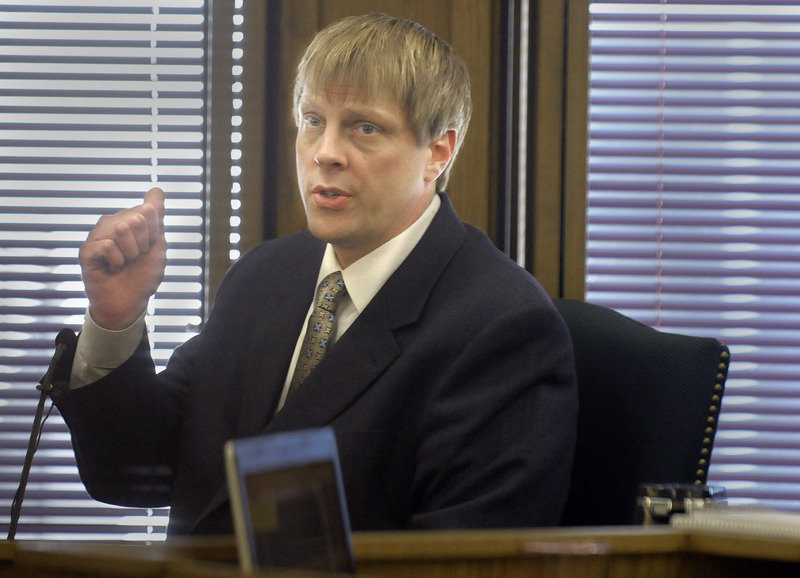 Olsen’s avoidance of investigators led to the untruthfulness charge. “I now realize that the safety of my fellow officers as well as the public should have taken precedence over my personal concerns,” Olsen wrote in his letter. Kirkpatrick accepted his letter of resignation with the acknowledgement that Olsen resigned in lieu of termination. His resignation ends any opportunity for appeal but does not prevent him from getting a job in law enforcement elsewhere, Kirkpatrick said. Nor does his resignation affect the back wages he’ll receive, totaling about $153,000 for the time Olsen was placed on unpaid layoff status after his arrest in April 2007. Meanwhile, a city investigation into the disappearance of potential evidence in the Olsen case is nearing its conclusion. City Administrator Ted Danek said Monday a report is expected soon about testimony offered in Olsen’s trial from Marvin D. Tucker, the Spokane Police Department dispatch supervisor who said Pete told him in a 911 call that he’d stolen Olsen’s truck before the shooting. Dispatch tapes show no such statement from Pete. Two people who stood next to him during the call, Michael R. Dale and Carol A. Blackburn, said Pete never said he stole Olsen’s truck. Tucker said the tapes containing the admission had been erased. Kirkpatrick said Monday’s conclusion in the Olsen case illustrates that law enforcement is “stepping up” and taking responsibility for its actions at a time when constituents have voiced frustration over the handing of several high-profile cases, including the recent criminal investigation into the actions of Spokane County sheriff’s Sgt. Pete Bunch, who quit last week just before he was to be fired. “We’re taking care of ourselves,” Kirkpatrick said. Staff writer Thomas Clouse contributed to this report.